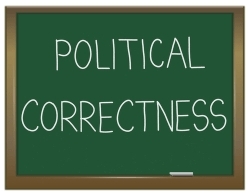 I used to understand and appreciate political correctness in terms of using appropriate language but now I realise it is rather a mechanism for the middle class majority to try to own and corrupt the issues of a socially excluded group in a way that maintains their isolation. In the 1980s, there focus was black people as their tried to ban words like blackboard and songs like ‘bar bar black sheep’ for being racism despite I guess most black people not caring at all about these times. Now its disability and the focus is supporting the opposition to the welfare reforms in a manner that reinforces their prejudices of disabled people as inferior beings who are of course unable to work or been meaningfully included in society other than objects of welfare. This appears to be the view of Stephen Fry and many others who believe they are doing good when in reality they are causing so much harm, undoing the work of a generation of disabled people in trying to gain meaningful inclusion.